One of the finest hotels in all of Europe, the Beau-Rivage Palace in Switzerland is famous for its grand architecture, sumptuous rooms, and timeless bar. On the shores of Lake Lausanne in Switzerland, the historic Beau-Rivage Palace Hotel is one of the grand dames of this utterly romantic lake. Built in the mid 1800s, the luxurious hotel epitomizes the elegance and grandeur that the lake has become famous the world over for, and the hotel’s bar specializes in the corresponding fine art of the cocktail. The setting of the stately Beau-Rivage Palace Hotel cannot be understated. The genteel hotel full of elegant balconies and Art Nouveau nuances rises from the lapping waters of the teal blue lake with a mural of majestic mountains behind. 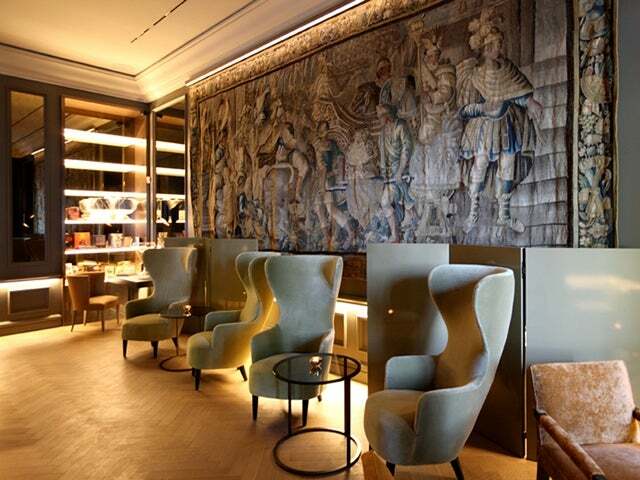 Inside, at the bar, you are greeted with a just as impressive collection of sumptuous furniture, arched crown molding, and a tapestry that looks like it belongs in an esteemed European museum. The adjoining terrace is awash with views of palms, water, and peaks, and is climate controlled so it can be enjoyed all year round. 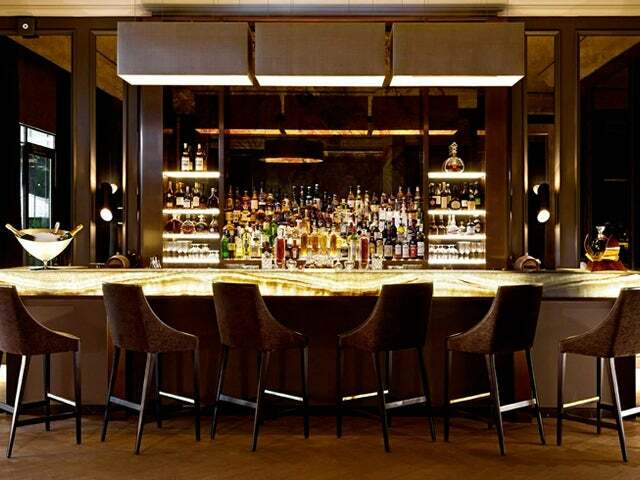 When it comes time for a drink, you’ll find the staff at the Beau-Rivage Palace bar are expertly trained at concocting all the classics (surely, there couldn’t be a finer place in all of Switzerland for a martini?) in addition to some signature modern twists. All the finest spirit labels from around the world are represented, and no matter the mixture you choose, they are all poured with a graceful demeanor worthy of the setting.